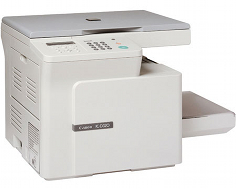 The lack of an automatic document feeder is what gives the Canon Copier ImageClass D320 its unique, stylish look, and also part of what makes the unit so affordable. Unfortunately, other factors in its low price are its sluggish print and copy speeds and limited hardware set, as it is one of the more bare bones units on the market. Stripped down machines such as the Canon Copier ImageClass D320 do have their advantages, such as low price and generally small footprint, not to mention simplicity of use. Other than that though, their office applications are very limited, and should be considered primarily for light duty home use. One of the few features of the unit that does actually stand out as being quite good is its copy resolution. With 1200 x 600 dots per inch, the Canon Copier ImageClass D320 is more than up to par in this category but, in a bizarre twist of fate, this unit has a print resolution much lower than this, rendering the initial copy quality virtually useless. A simple USB port is included for PC connectivity, and Canon Windows printer driver is included to incorporate the device with your computer. No Macintosh software is included, and there is no mention of specific Linux compatibility. Though the copy memory is extremely small at only 4 MBs, this amount is actually quite sufficient for a unit of this caliber. For a machine this simple, 4 MBs should prove to be plenty. The print speed of the Canon Copier ImageClass D320 is, more or less, unacceptable in a professional environment. With letter sized paper maxing out at 15 pages per minute in speed, documents will be produced at half the speed of a higher end model. When dealing with large volume prints, this time restraint can be devastating, or at least annoying. Legal sized print speed is even worse, clocking in at 12.5 pages per minute. Copy speeds are equally as slow as print speeds and, even worse, copies can only be produced from a single source at one time due to the lack of an overhead ADF. Without an automatic document feeder, users will rely on a simple flip up flatbed design to place input material in one by one. The only good thing about this type of scanning is that three dimensional objects are easily copied, and the thin copy cover can even be extended from its hinges to make room for a thicker book or magazine. Review it: "Canon imageCLASS D320 "
Canon incorporates their unique single cartridge system into many of their small MFCs and monochrome laser printers. 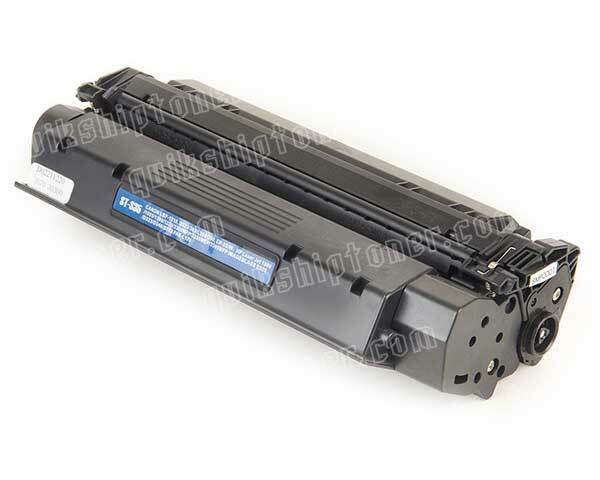 With the elimination of the drum unit by way of combining drum and toner cartridge into one, toner swapping becomes less complicated and faster, so even a novice can execute a swap in seconds. 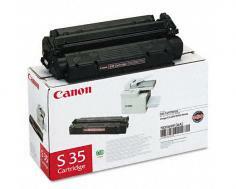 The Canon Copier ImageClass D320 in particular does not offer a high yield toner cartridge, and is therefore limited to cartridges with 3,500 page yields at 5% coverage.